Give the fancy dinners and flowers a break, this Valentine’s Day. Why not make it a long weekend and plan a romantic weekend getaway from Bangalore? From beaches and hill stations to jungles and stately ruins, you have enough to choose from. So, go ahead and have a truly happy Valentine's Day with your partner. Thank us later…with chocolates. Explore the lush coffee plantations Chikmagalur is known for or go on a trekking trip with your date if you’re up for some adventure. Or, if you’d rather prefer lazing around (or, should we say, snuggling), we suggest you hit up Villa Urvinkhan. Sit back and spend some quality time with your special someone over tumblers of filter coffee or enjoy the sinful local cuisine (pandi curry!). Want something quirky? From places that let you try your hand at gravity cycling to hydrotherapy, you have quite a lot to choose from in this serene town. Skip the trip to Goa and head here instead. Walk along the beach (we recommend Kudle or Om beaches), enjoy the sea breeze and guzzle some cold beer with your loved one. For a more secluded experience, you can escape to nearby Halfmoon and Paradise Beaches. Pick a cabin near the beach and you could even watch the sunset or the sunrise together. A perfect choice if both of you are wildlife and nature enthusiasts, Kabini offers plenty of options for you to take a break from the city and enjoy a rustic, earthy life. Along with adventurous safari trips and some bird watching. If you’d like to add a touch of luxury, book yourselves into Red Earth. You won’t be disappointed. Some dolphin-spotting, water sports and the lazy beach life is what you can look forward to at Mangalore. We suggest you plan a weekend of beach-hopping and enjoy the sun and sand with your soulmate. For stay, check in to a budget hotel or a comfortable beach house. From lakes and hills to valleys, this quaint hill station has enough to be explored. Oh, and charming old-world buildings and churches, too. Make a romantic adventure of it and go wandering through the lesser known spots in the city. Fancy a junglee getaway (as unconventional as that might sound) with your partner? Masinagudi is where you should head to. Apart from the Mudumalai Wildlife Sanctuary, you also have the Theppakadu Elephant Camp and Moyar River to check out. For an equally wild stay (think rustic tree houses), we recommend Jungle Retreat. Do yourselves a favour. Do make sure you cross the river to the Anegundi side and park yourself at one of the several charming riverside cottages (available at super budget prices). Wood fired pizzas, hammocks to laze around and even riverside picnic are romantic options. 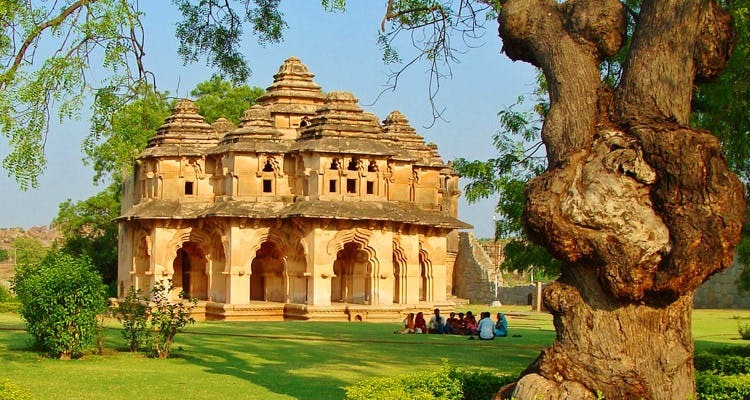 But our recommendation would be to hire yourself a scooter for the day, hold your partner tight, and go off exploring the monumental ruins of the Vijayanagara kingdom that Hampi is world famous for. One weekend just may not be enough to make most of this place, we must tell you. But, while you’re at it, make it an unforgettable trip and check out the different experiences you can have here. Stroll through the tea estates, go bamboo rafting, visit Soochipara Falls (a magnificent three-tiered waterfall surrounded by a forest), explore Edakkal Caves (which has pre-historic etchings), trek through Chembra Peak and take a safari ride through the Wayanad Sanctuary. Another one for the beach bums. Considered one of Karnataka’s most beautiful beaches, Maravanthe also has calm surroundings that let you enjoy a quiet getaway by yourselves. Once you’ve had your fill of the seaside, make sure you set aside some time to take in the beauty of the Padukone village, known to be one of the must-visit places here.